April 29th is National Shrimp Scampi Day. “Woosh” You had me at shrimp. But you can’t get fresh shrimp here in the mountains of North Georgia and I’ve gotten too many packages of frozen shrimp that had no taste what so ever. So here is the bate and switch and a variation to a classic dish. I’m going to use Langostinos. Why, you ask? Because Costco had this big 2 pound bag of cleaned and cooked langostinos. Langostinos is one of them Crustaceans that get mixed up with so many other Crustaceans. Pay attention cause here’s where it gets technical. 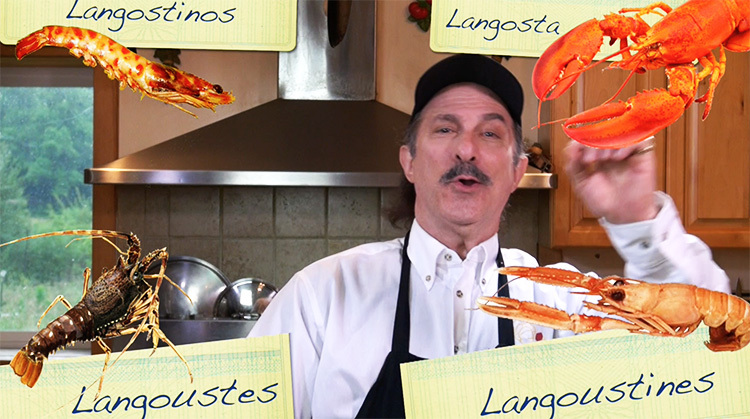 Langostino is Spanish for Little Lobster, but they are not actually lobster. Langosta is the Spanish word for lobster, the real lobster like from Maine. Here in the US of A langostino is an alternate name for the Squat Lobster, and who has ever heard of Squat Lobster? Which, by the way, is also not a lobster!! Although Langostinos look like long shrimp. They are not a variety of shrimp or prawns at all but more closely related to the hermit crab. Go figure. And by the way, langoustes is Spanish for the spiny lobsters like the ones I would see when diving in the Caribbean and not be confused with, langoustines or your Norway Lobster sometimes called… are your ready for this, SCAMPI. Forget confusing let’s get specific, Crustaceans labeled as langostino must be no longer than 3 inches in length and no heavier than 7 ounces. That sounds like a very strange proportion to me. I’ve seen a lot of 3 inch shrimp with their heads and tails attached, but they do not come close to weighing 7 ounces. That’s 1 ounce shy of a half a pound. All this for shrimp scampi without the shrimp. The sauce for a Scampi is basically a garlic and lemon flavored beurre blanc. “White Butter.” To make a beurre blanc you reduce white wine, or vermouth, or even white vinegar with shallots until the liquid is almost completely gone, then take it off the heat and mix in the butter one pad at a time. You’re creating an emulsion… an intensely flavored butter sauce. Since this sauce is going to be thinner than a traditional beurre Blanc You don’t want to use only wine, it will over power the sauce. I’m mixing equal parts white wine and chicken stock. The chicken stock keeps the richness without adding extra butter. 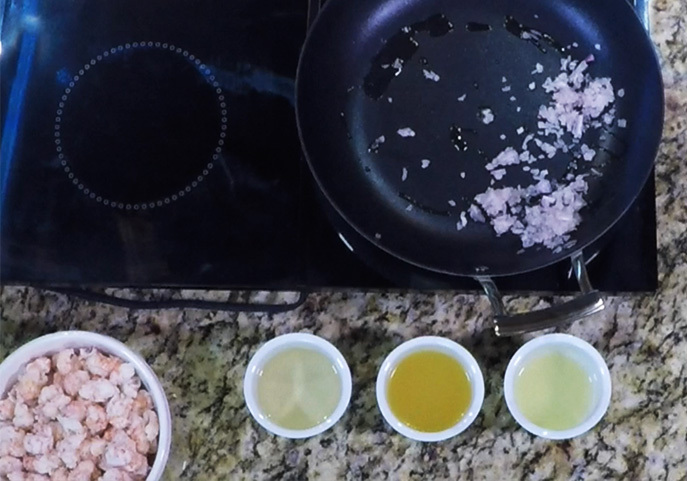 I start off by sweating some shallots and garlic in some olive oil. plus the juice from one lemon. I zested the lemon because l like to add some zest to my sauce. Reduce the liquid by about 2/3 and turn the heat off. Start to add the butter. Add the langostinos or shrimp to the sauce just long enough to heat through. If your shrimp is raw you’ll cook it in the sauce. This shouldn’t take more than 3-5 minutes depending on the size of the shrimp Cook until the shrimp has lost it’s translucency. Taste the sauce and adjust salt and pepper. Add some chopped parsley and some of the lemon zest. Serve over rice or pasta and sprinkle a little more chopped parsley over the top to garnish. There you have it. Shrimp scampi made with langostinos. 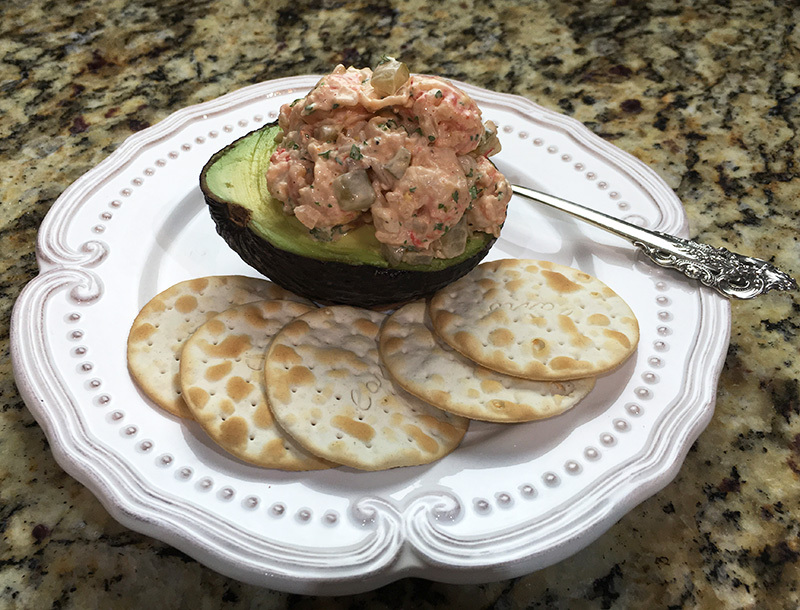 I had some langostinos left so the next day I made a salad that I stuffed into an avocado.